A motorcycle crash can leave you vulnerable and struggling to get the full compensation you deserve. Fortunately, a motorcycle accident lawyer in Clearfield can guide you through the claims process and help you fight back. When we take our motorcycles out for a ride, we’re thinking about the freedom a motorcycle gives us. Unfortunately, you might not have been prepared for a motorcycle crash, and now you’re dealing with the aftermath of the crash. It’s a painful experience, and both your suffering and your probable inexperience in the courtroom just make it more difficult. At Craig Swapp & Associates, we know how tough getting your motorcycle crash settlement can be. You’ll need a Clearfield motorcycle accident lawyer. If you’re not getting the settlement or compensation you need, get the help you need for fighting back. In the aftermath of your crash, your first move is likely to speak to your insurance company. Utah is a no-fault state, which means you may be able to receive your compensation without needing to take your claim to court. Unfortunately, only personal cars and trucks are required to carry personal injury protection, which means you might only have liability coverage. In this case, your insurance company may not help, and you’ll need to file a claim in court. This isn’t easy, and worse, they’ll almost certainly try to fight back. You can expect them to try pinning the blame for the accident on you, which could reduce the worth of your claim. If this happens, if you’re 10 percent at fault (for example), you might only receive 90 percent of your compensation. Your lawyer will need to consider this when preparing your Clearfield claim. You and your lawyer will also need to consider what your motorcycle accident claim is worth. You’ll need to seek out a combination of economic and non-economic damages to get the full worth of your claim. This means that you’ll need to seek out the financial losses you’ve suffered, like the damages to your motorcycle and your hospital bills. You’ll also include non-economic damages, which cover the mental and emotional suffering you’ve experienced. For example, post-traumatic stress disorder often develops after traumatic experiences, and it can affect your quality of life. When you’re in a motorcycle crash, it can be an overwhelming experience. You’re in pain, you’re uncertain about the Clearfield and Utah laws that affect your claim, and you’re struggling to balance it all. So what can you do about it? 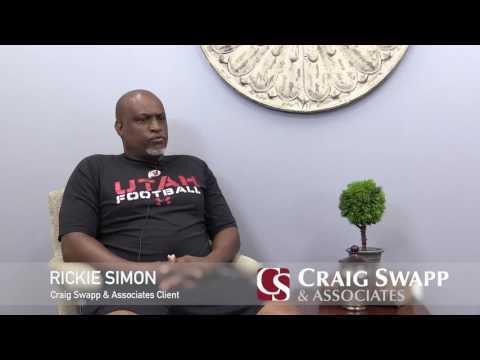 Fortunately, an attorney from Craig Swapp & Associates can help. Our lawyers understand how serious your accident claim is and will start with a free claim review. We’ll cover your claim and what we can do for you before we get started. If you’re considering filing a claim, reach out to our law firm. A Clearfield motorcycle accident lawyer can be reached by calling 1-800-404-9000 or by filling out the following online form.